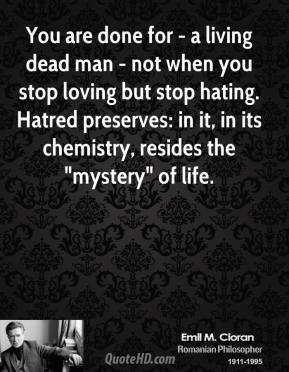 You are done for - a living dead man - not when you stop loving but stop hating. 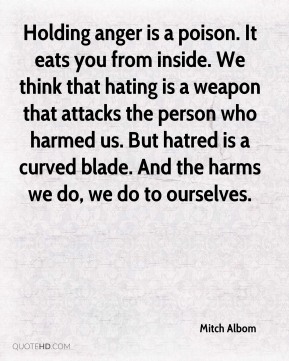 Hatred preserves: in it, in its chemistry, resides the "mystery" of life. 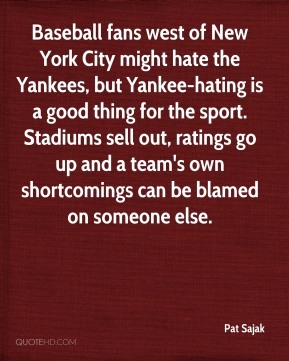 Baseball fans west of New York City might hate the Yankees, but Yankee-hating is a good thing for the sport. 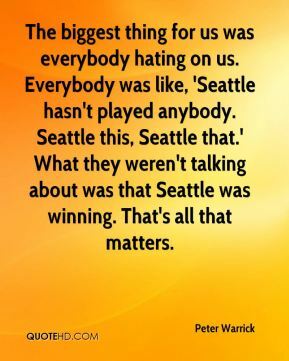 Stadiums sell out, ratings go up and a team's own shortcomings can be blamed on someone else. 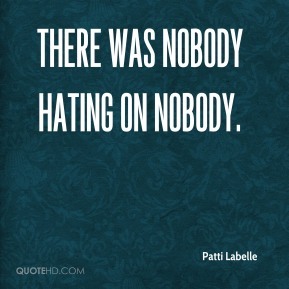 I'm all done with hating you. It's all washed out of me. 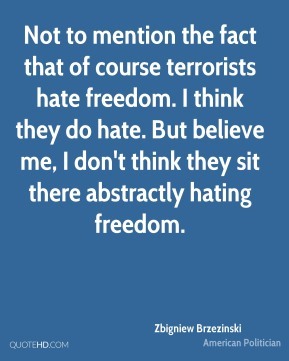 I hate people hard, but I don't hate them very long. Finally, I tapped him on the shoulder and asked him why he was hating on my son. 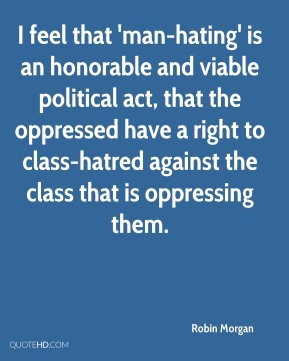 I feel that 'man-hating' is an honorable and viable political act, that the oppressed have a right to class-hatred against the class that is oppressing them. I have forgiven Donald Miller, ... I don't live my life hating him. 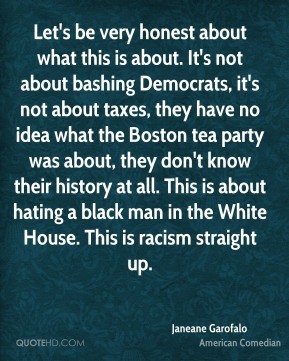 But I hate what he did. 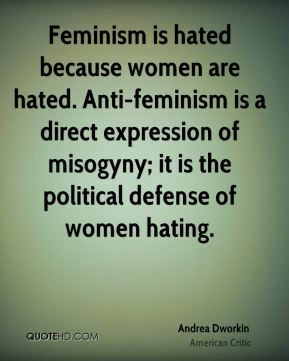 Women must understand that simply attacking or hating men is just another form of disempowerment. 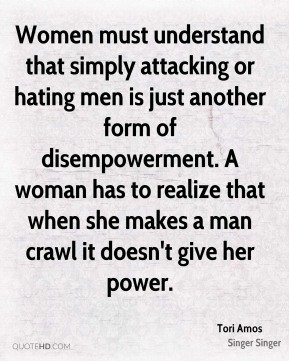 A woman has to realize that when she makes a man crawl it doesn't give her power. 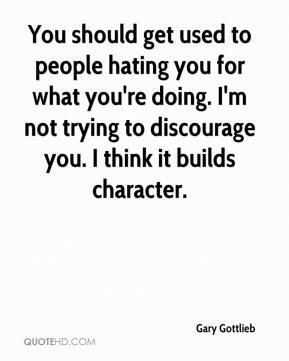 You should get used to people hating you for what you're doing. I'm not trying to discourage you. I think it builds character. 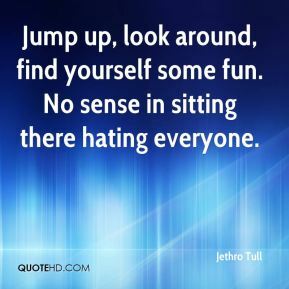 It became not fun for anybody involved. 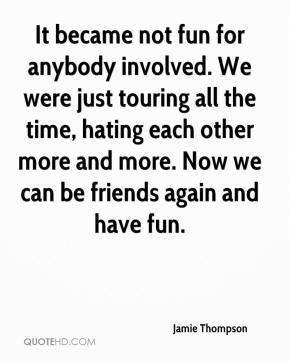 We were just touring all the time, hating each other more and more. 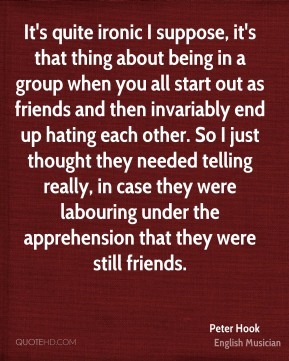 Now we can be friends again and have fun. 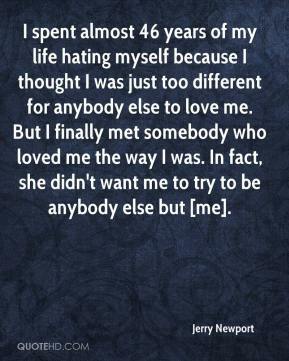 I spent almost 46 years of my life hating myself because I thought I was just too different for anybody else to love me. But I finally met somebody who loved me the way I was. In fact, she didn't want me to try to be anybody else but [me]. 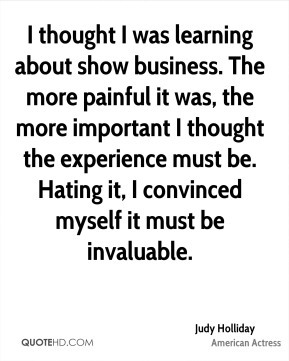 It's not as much about sales as it is about how you feel doing it. 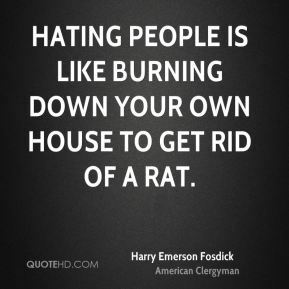 If I start hating doing this and it makes me miserable, I wont do it anymore. 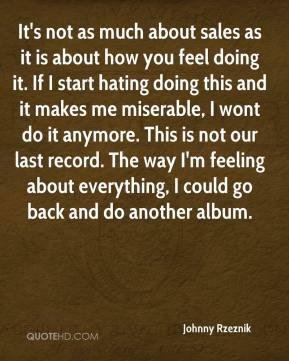 This is not our last record. The way I'm feeling about everything, I could go back and do another album. Have fun, work hard be safe. 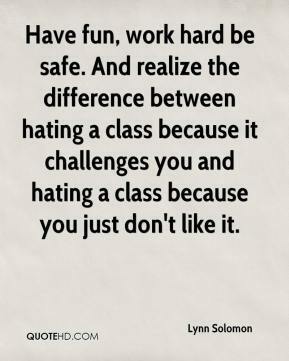 And realize the difference between hating a class because it challenges you and hating a class because you just don't like it. 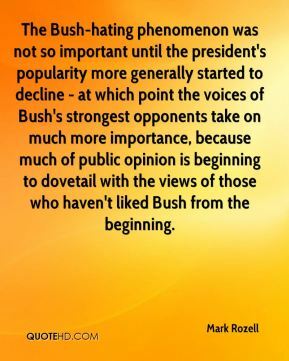 The Bush-hating phenomenon was not so important until the president's popularity more generally started to decline - at which point the voices of Bush's strongest opponents take on much more importance, because much of public opinion is beginning to dovetail with the views of those who haven't liked Bush from the beginning.